Celebrate 7 years of NationofChange with your tax-deductible donation! Click here to read a special message from Board President, Donna Luca. 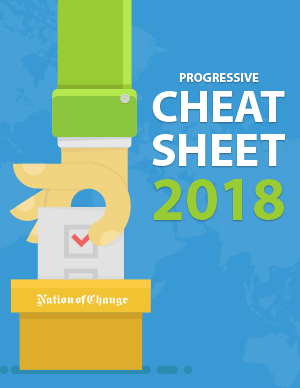 All donors receive the Progressive Cheat Sheet 2018! NationofChange is a 501(c)(3) nonprofit organization that is funded entirely by donations from readers like you. Contributions to NationofChange are 100% tax deductible.